Every single day, simplify your life by removing something that does not serve you. It could be a piece of clothing, an unread book, or negative thoughts. Remove the excess. Simplify. Identifying your priorities and what's most important to you in your life allows you to gain clarity; by eliminating unnecessary habits, stress, or commitments, you can simplify your life and make more time for your priorities. 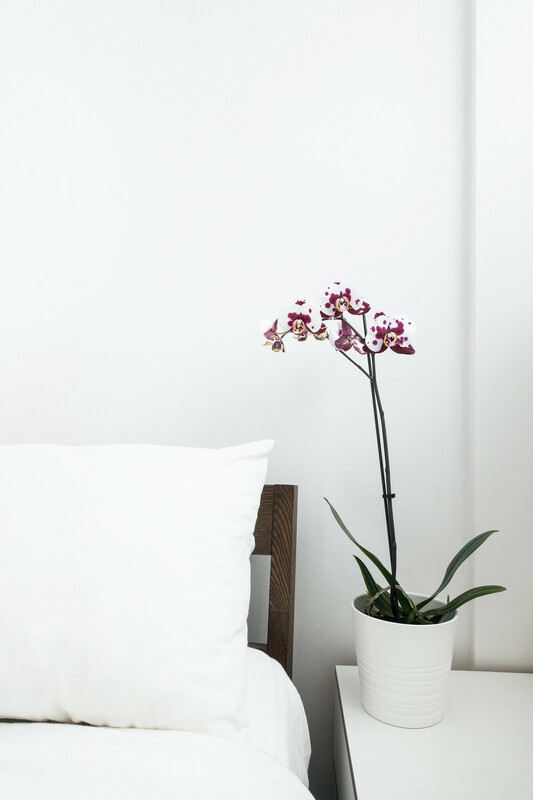 The minimalist lifestyle is about eliminating the excess; it can help you to identify what you value the most so you can reduce the clutter, eliminate the noise, and live a happier life with less. Minimalism places the focus on happiness, self-care, and fulfillment. A home full of unwanted stuff causes emotional stress, lack of focus, and physical discomfort. Purging your home will benefit you both physically and mentally. The 5-Step Method for Decluttering is an achievable way of simplifying your life by eliminating clutter forever. Curating a minimal wardrobe or capsule collection focuses your attention on buying high quality clothing. The principle behind the practice is quality over quantity resulting in better quality clothes and accessories with less money spent. Sometimes the habits we build for ourselves can negatively impact our wellbeing. Breaking your routine can be a step in the right direction for positively influencing your mental and physical health. Identify unhealthy, unproductive habits and simplify or remove them altogether. Simplifying your life doesn't stop with physical things, your digital life can be streamlined too. Unsubscribe from newsletters that are always trying to sell to you and subscription services you do not need. Remove the noise and declutter your digital space. Switch any bills you might have or subscriptions that send paperwork by post to a paperless service. Opt out of unsolicited mail and put up a notice requesting no junk mail be posted to your address. It's one less thing to worry about and deal with. Commit to buying less, choosing well, and making things last. Limiting our consumption doesn't stop at physical belongings either, we can consume less by limiting our time spent online or scrolling through social media, and participating in mindless tasks. Our lives are better when we let go of the past and focus on being present in the here and now. Let go of guilt, negative memories, and sadness. It may be one of the hardest things for you to do but it will have the biggest impact; let go of anything holding you in the past and be present in the here and now. Simplify home tasks and daily routines by putting efficient systems in place to tackle them. A simplified schedule for chores makes tidying you home easy, and adopting daily habits can help keep your home tidy and clutter-free for longer. Multi-tasking never works. Do one thing at a time and do it well. Focus on the task at hand and keep going until it's done; you'll find streamlining your to-do list prevents procrastination, half-finished chores, and unfinished projects. Single tasking will boost concentration and improve productivity. There are plenty of reasons why we always say "yes" but it's not always to our benefit. While someopportunities only come around once, it's important to make self-care one of your priorities. Learn to say "no" more often and put yourself first. Say "no" to guilt, self-imposed deadlines, multi-tasking, and toxic friendships. Remove the excess. Simplify. Slow down.